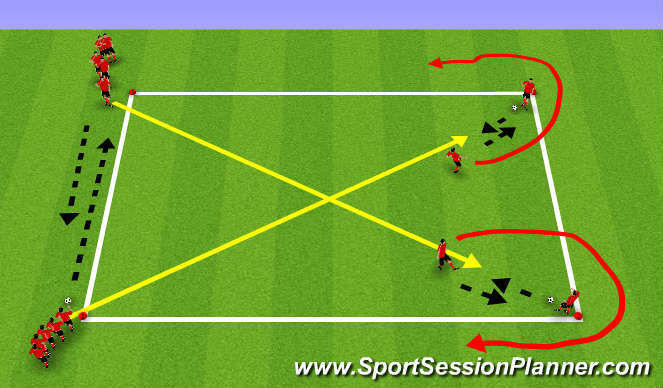 Set Up: 1 15x15 yard box- 4 cones at the corners. Players split into two lines with one ball at the front of one of the lines. 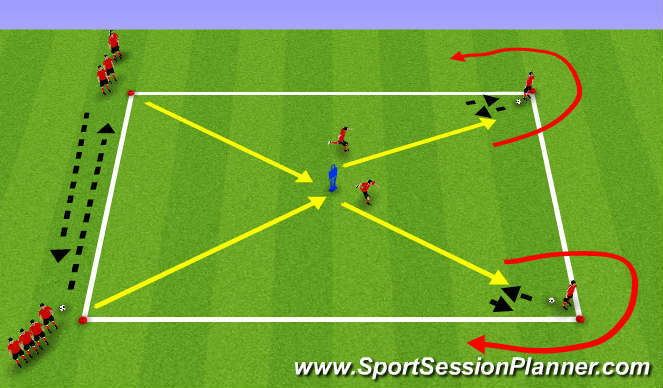 Two other players positioned at the other two corners each with a ball.